In Jubilees, the law is established in creation, therefore “Obedience to the Law is the central message of Jubilees” (Wintermute, “Jubilees,” OTP 2:40). 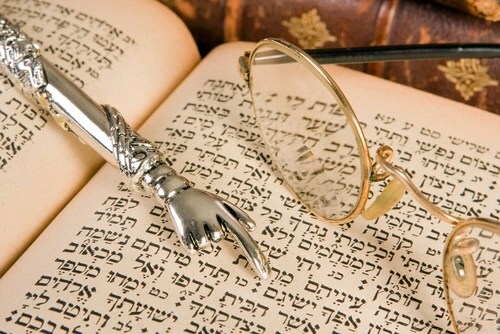 The writer desires to place as many Jewish customs and religious features as early in the history as possible. The earlier a practice can be rooted in history, the better. As Michael Segal, states, “one of the most distinctive features of Jubilees is the juxtaposition of laws generally known from the legal corpora of the Pentateuch with stories of the patriarchal period” (in Reworking the Bible: Apocryphal and Related Texts at Qumran, 204. For example, the purity laws concerning a pregnancy (3:8-14) are found in the creation narrative alongside marriage and Sabbath. Sabbath law is inserted into the narrative of creation as well, 2:25-33. Adam is created unclean and must wait forty days before entering the garden, Eve must wait eighty (3:8-14, the number of days after which a woman is to present herself at the temple for ritual cleansing after the birth of a male and female.) Halpurn-Amaru points out that Jubilees 2:19-20 selects phrases from Exodus on Sabbath and inserts them into the creation story (Rewriting the Bible: Land and Covenant in Post-Biblical Jewish Literature [Valley Forge, Penn. : Trinity], 26). Noah establishes the feast of Shevout (5:17-31) and firstfruits (7:23-39, referring to Exodus 34:22, CD 3:6. The feast was kept by Noah and his family for seven Jubilees, until Noah’s death). Noah tells his children they will be ‘planted in righteousness” in the whole earth, cf. 1 Enoch 10:16, if they continue to bring their firstfruits to the Lord. The prohibition on eating blood in Gen 9 is greatly expanded, conforming it to later command sin the mosaic law (7:20-33). Abraham implores his father to not worship idols (12:1-8) and burns down the house of idols (12:12-14). The legendary piety of Abraham is the basis for the Apocalypse of Abraham. Abraham even keeps the Feast of Booths centuries before it is given (16). Passover and the Feast of Lights are not mentioned since they are rooted in well-known historical events. The events of Passover is mentioned in chapter 49. Purim is also omitted, although if the book comes from a theological current akin to the Qumran community, Esther may not have been an important book and Purim a secular celebration. Even the Day of Atonement is foreshadowed in the story of Genesis; it is a day of mourning for Joseph (34). Seth, Enoch, and Noah are “proto-Jews” who were righteous before God well before Abraham. The tithe is rooted in the patriarchal stories in chapter 32. The writer is therefore weaving law material into the narrative of the earliest histories in the Hebrew Bible in order to provide a more sure foundation for distinctive Jewish practices. There is a repeating condemnation of fornication in the various generations, rooted in the Noahic covenant. Similarly, many of these commands are “written on heavenly tablets,” an indication of the solemnity of the commands as well as their inviolability. Even when a patriarch is guilty of fornication and is not judged (Reuben, 33; Judah 41), the author makes it clear this is no excuse for the reader to commit such acts. There are many stories which are slightly altered so as to preserve the righteousness of a character. Shem is blessed since his division of territory included the Garden of Eden (8:18-21). Jacob is a righteous man who follows the Lord wholeheartedly rather than a conniving deal-maker (36). As with the Enoch literature, there is an effort to absolve God of any apparent sin. For example, a demonic creature is responsible for telling Abraham to sacrifice of Isaac, not the Lord. This is the same demon who later helps the magicians in Egypt do miracles. Demons are responsible for much of the sin found among the sons of Noah. Noah prays and none-tenths of these demons are bound in judgment. Shem is given the secret of dealing with the final tenth because he is Noah’s beloved son (10:7-14). Abraham does not leave the Land nor does he lie about Sarah (15:17-20). On the other hand, some biblical characters are vilified far more than in the Hebrew Bible. Caanan, for example, discovers astrology (8) and his descendants are responsible for the evil in the world at the time of Abraham. Canaan violates the borders established after the flood by seizing Shem’s land and forcing him into exile in Egypt (10:27-34; 10:14-15, Noah pronounces a curse on anyone who violates boundaries.). ← Why Was Jubilees Written? Fascinating summary. Thank you. At my rate of reading I will not get to the extra canonical works in my lifetime.